May 3, 2013: It’s one of those Bangkok days, 8:40 in the morning with a ‘real feel’ temperature of 37 C, that’s 99 F.
It’s summer now, which you treat like winter in the midwest of the USA- avoid being outside. Without a cloud in the sky today, the temperature in the sun will be a shocker. Many days the heat doesn’t bother me, unfortunately today is one of the days that it’s sitting on me, and it would get up and leave me alone. 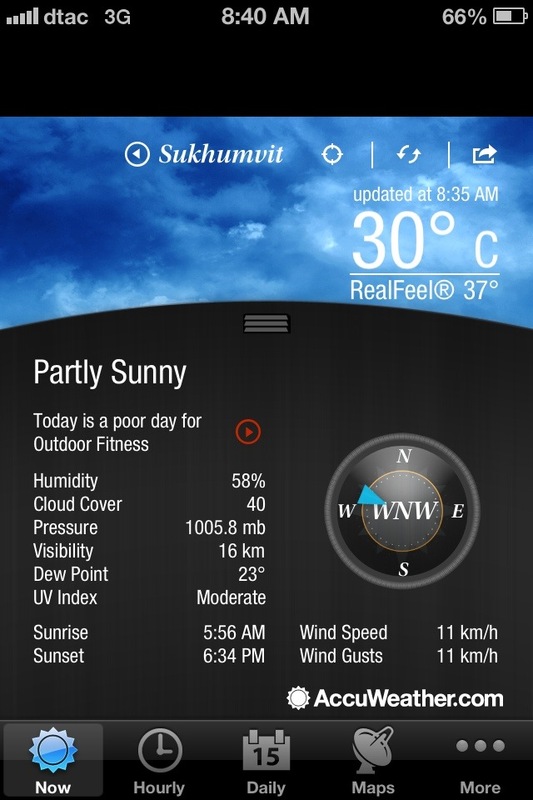 Image | This entry was posted in Weather and tagged bangkok heat. Bookmark the permalink.